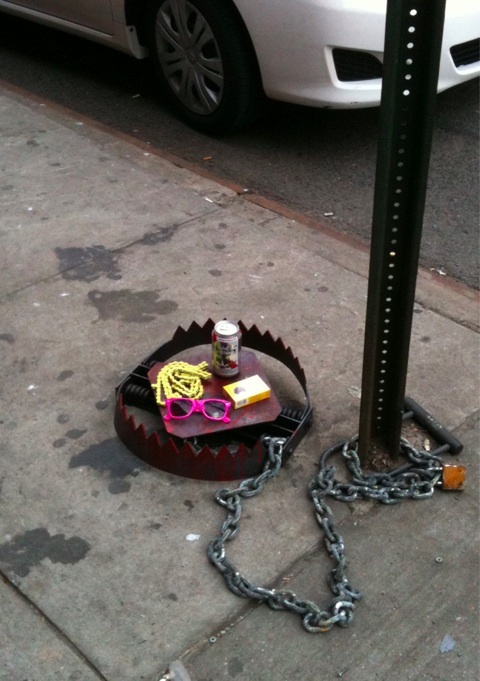 Jeff Greenspan and Hunter Fine have been installing “Hipster Traps” around New York City which include sunglasses, a yellow bicycle chain, a Holga camera, a can of PBR and a pack of American Spirits as bait. 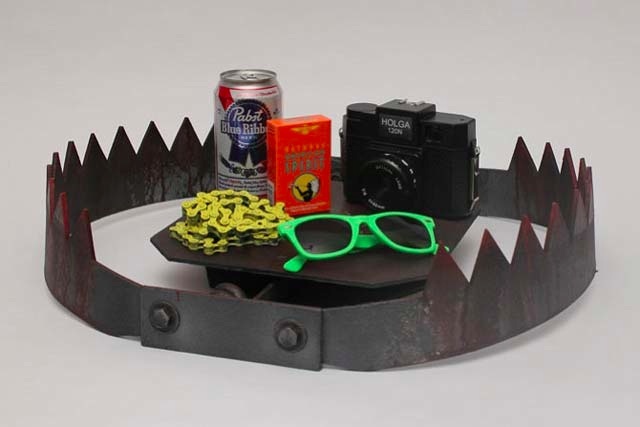 Jeff is the same artist who came up with the idea for last Summer’s Improv Everywhere prank “The Tourist Lane”. 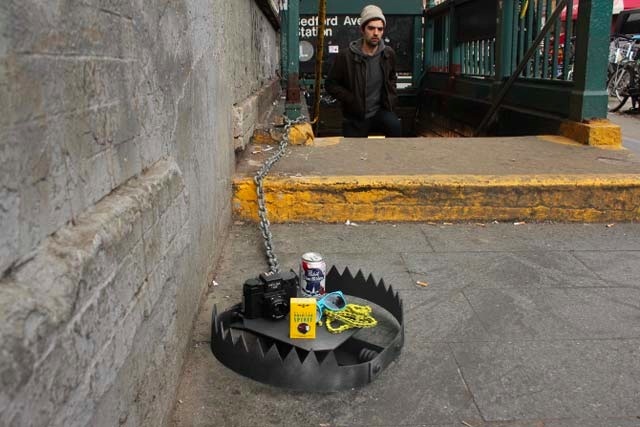 Next up: Bridge & Tunnel Traps.